When you adopt a new family member from the SPCA Serving Erie County, the fee you pay only covers a portion of the expense to prepare an animal for adoption! Your new pet comes to you spayed or neutered, vaccinated, and microchipped. Consider making a donation with your adoption to ensure we can continue providing nutritious food, medical care, and safe shelter to all homeless animals. 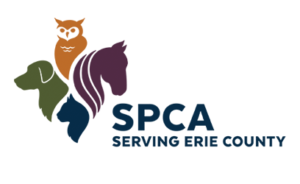 The SPCA Serving Erie County is 501(c)(3) non-profit organization. New York State Registered Shelter/Rescue, #RR228.